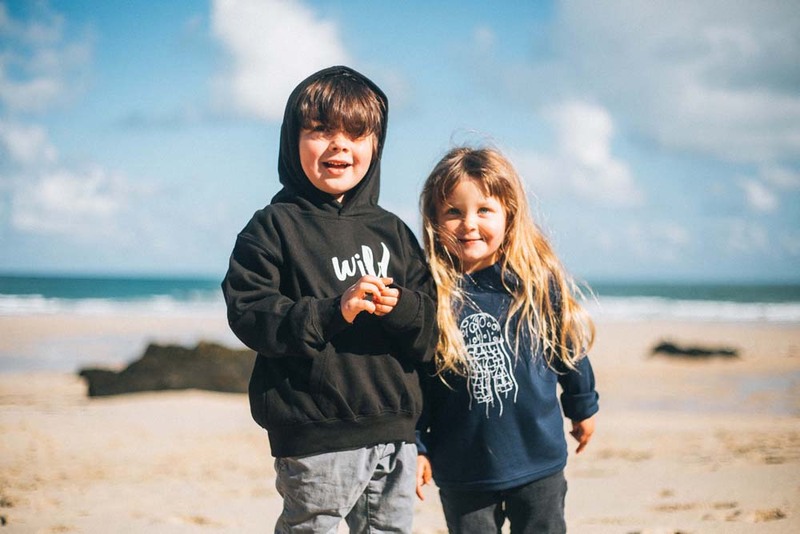 Kit out the sprogs for summer fun with hand-printed T-shirts and sweats from new Cornish clothing brand Wild Rock. You can keep your perfectly pressed shirts with all the buttons and your glittery princess dresses too, my outdoorsy clan will trash ’em before you can say muddy puddle. 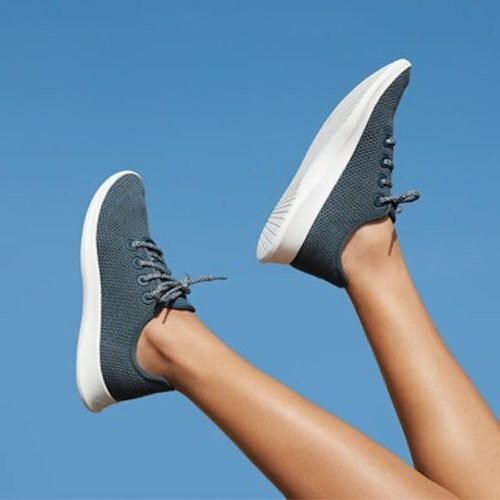 So new Cornish kidswear brand Wild Rock is right up our street and the mudlets have really enjoyed trying it out this summer. 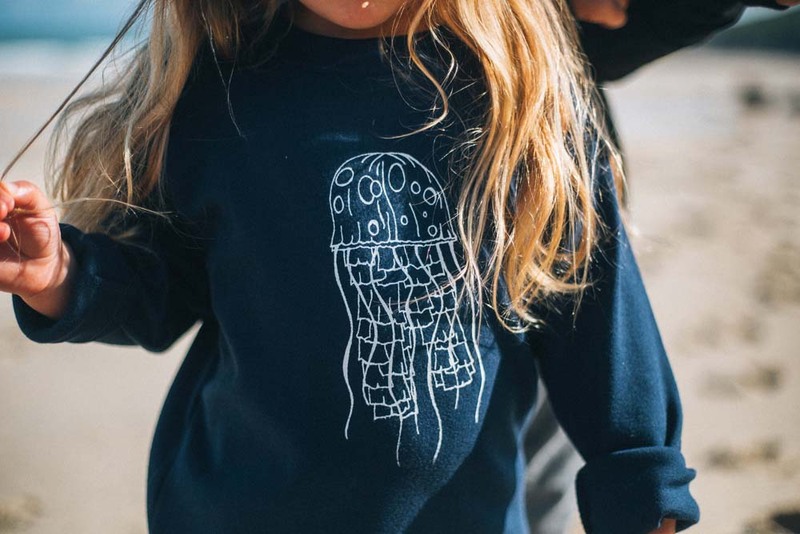 Created by St Ives-based print designer Hannah for the little people in her own life, each piece is hand-printed and features feel-good designs inspired by Cornwall – from lobsters to lighthouses. 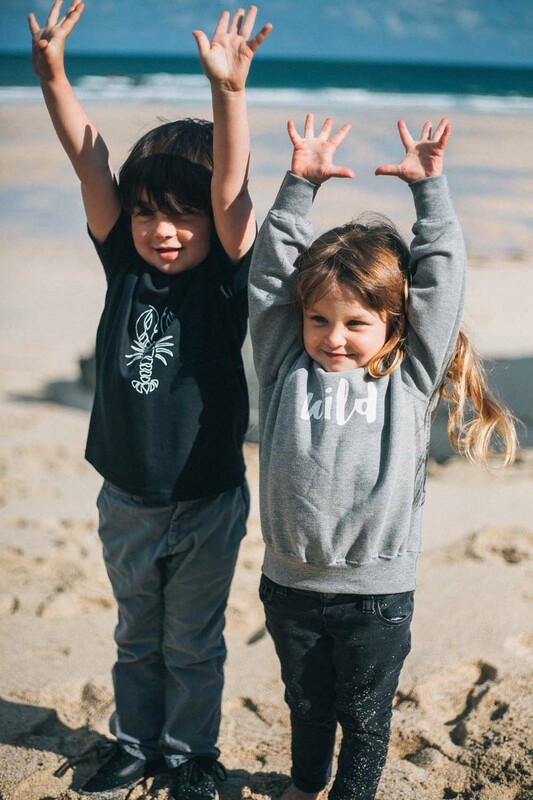 Soft and comfortable, the unisex collection is perfect for active kids and washes really well. 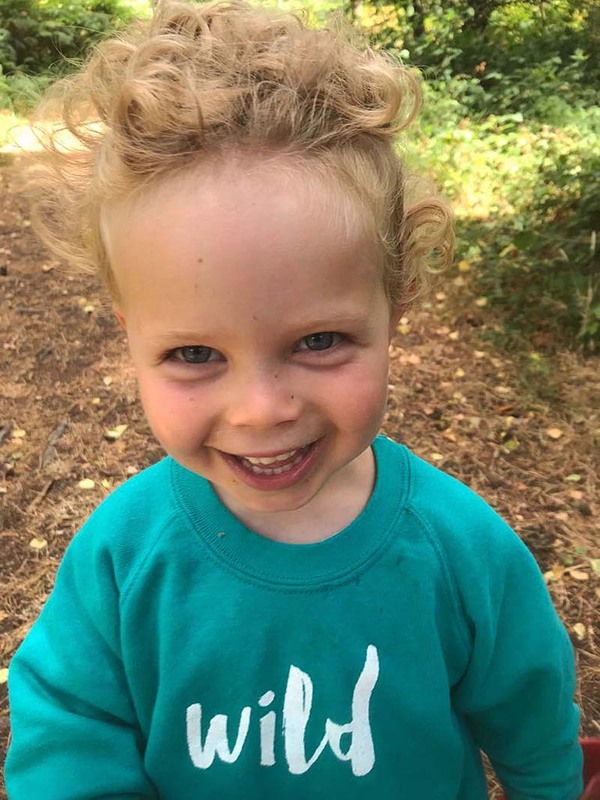 Our littlest is wild (some might say feral), so he was delighted with this slogan sweatshirt, which he chooses above all others for beach outings these days. 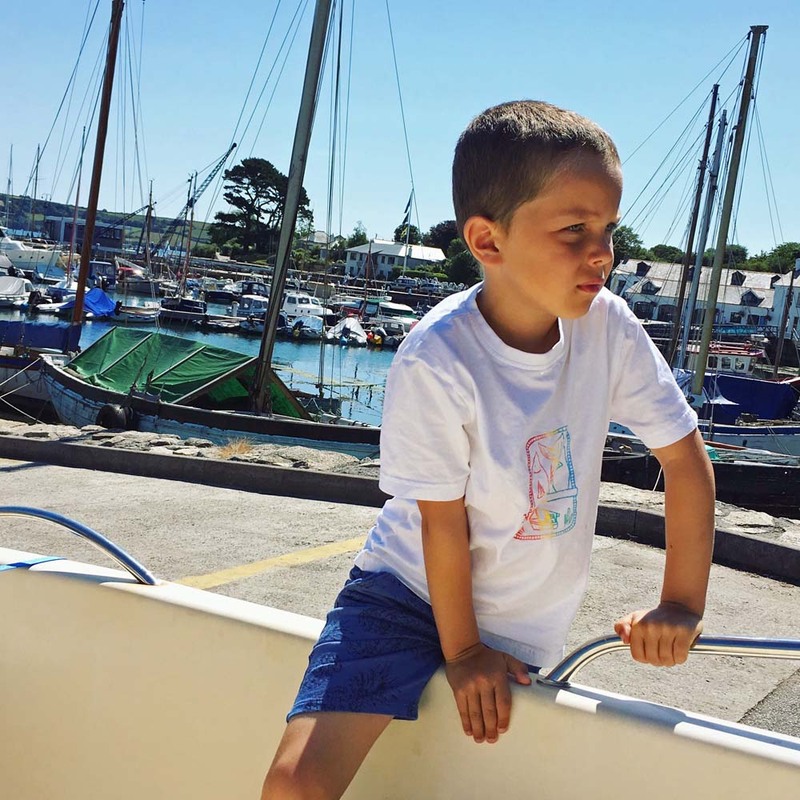 While the eldest is a fisherman-in-training and loves bright colours, so this rainbow pilchard tin tee suits him down to the ground. 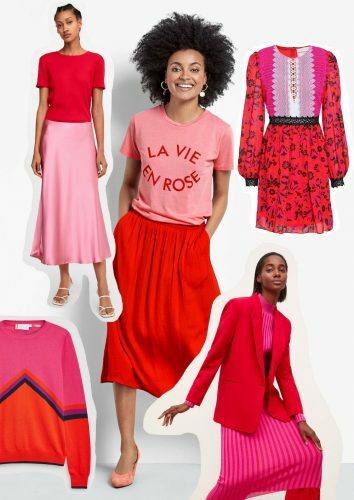 Hannah is expending the range with more prints and bright colours and takes customer orders too – which take a bit longer but can be personalised in your favourite prints and colours. 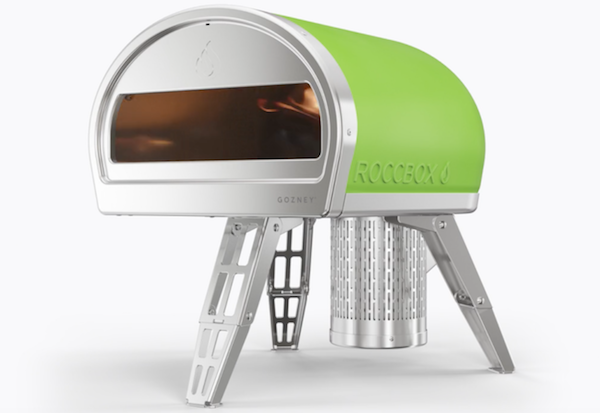 You can buy the range online or find Wild Rock this summer at Marazion Follyfest on Sun 19 Aug and St Ives Lifeboat Day on 23 Aug.